This simple tote is designed to hold up to five pairs of underwear and socks. 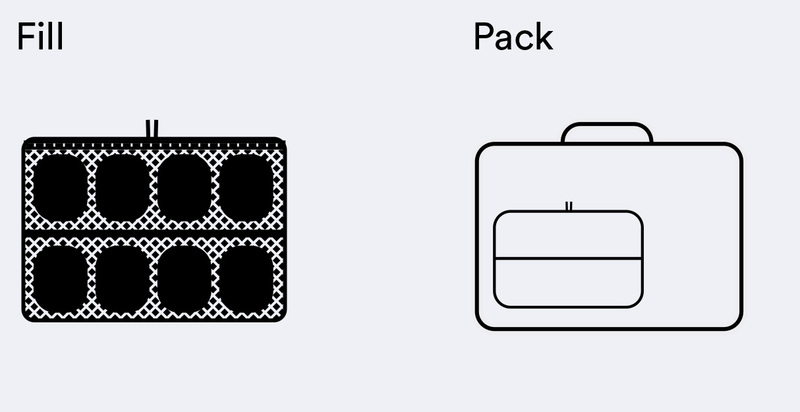 Its top mesh pockets allow for easy viewing of its contents in the suitcase or hotel drawer. Giving Lapoche as a gift? Add your own message at checkout and we'll include it on a Lapoche branded gift card, to be sent with your order.